Mods that replace game resources other than the script core. 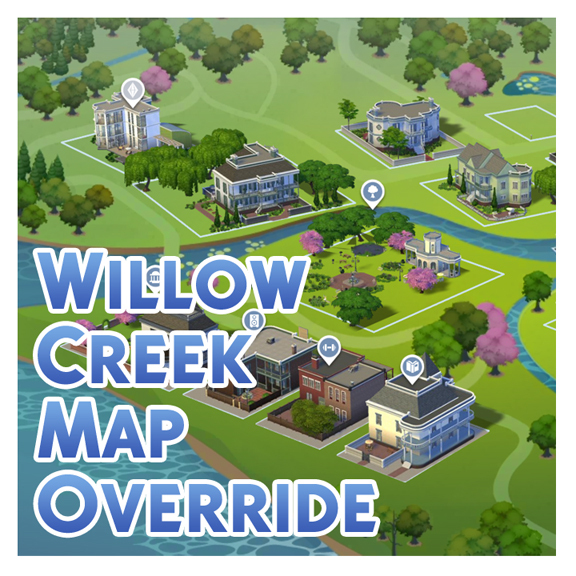 At long last, I have now updated the Willow Creek map to more accuratlely represent the in-game world. I bet you thought I'd never get around to it. 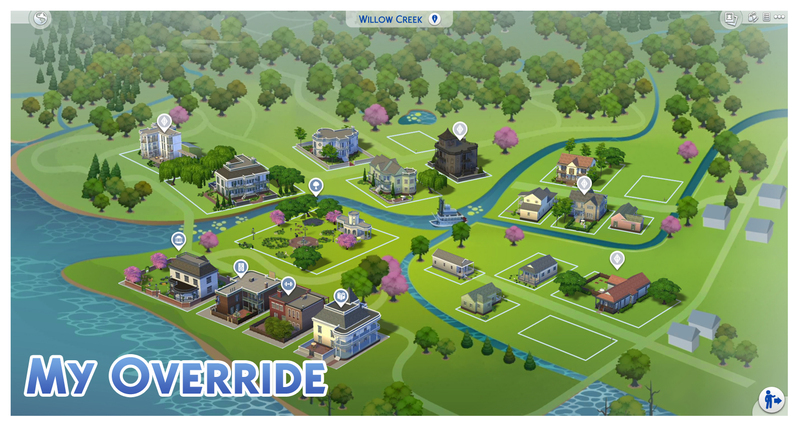 As with the Oasis Springs map, EA didn't change anything from the plain version to the coloured version but that isn't to say that there weren't a few things that needed correcting anyway. There were quite a lot of roads either missing or where they didn't actually exist in game. There was one case of a road in the lower right of the map that was just all dead-ends with no way to access them to begin with. 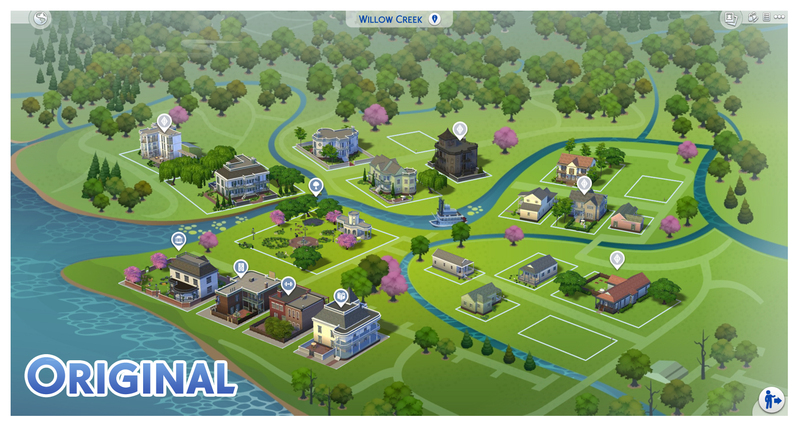 This wasn't the easiest of map edits to make actually due to the layout of Willow Creek. During the making of this edit I noticed that one of the Lots, just like with the Landgraab Lot in Oasis Springs, is rotated to face the wrong way. It seems that EA have done this with at least one Lot on nearly every map. That may very well be my next map related project. This mod overrides two image files that the game combines to create this single map image. Any other mods that override these same resource will conflict. 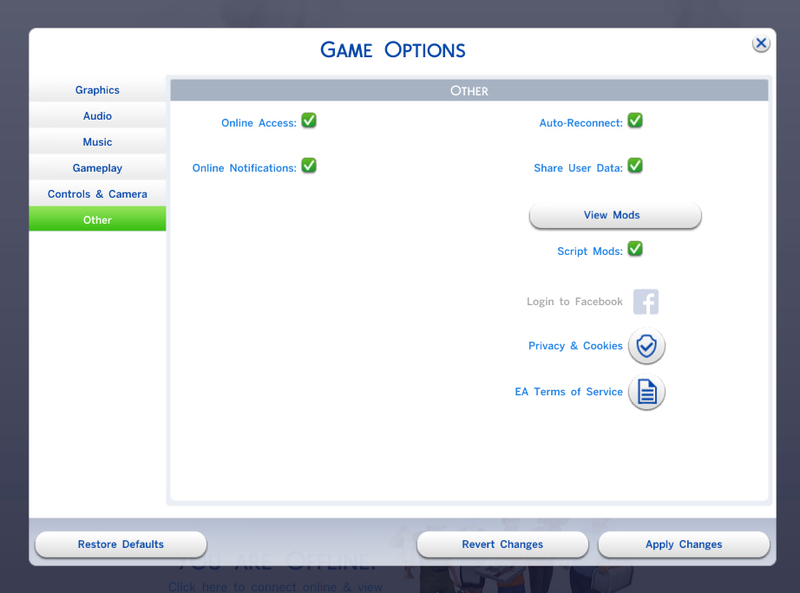 This override has been made possible thanks to the UI Texture Squasher tool created by CmarNYC and the Sims 4 Image Viewer by luniversims. This is purely a texture replacement. It does not correct the rotation of the Landgraab Lot which is facing backwards from map view. Place in your downloads folder as you would with any other .package. To delete, just remove it from your Mods folder. It's only a visual change so shouldn't break your game. HazzaPlumbob for providing some of the tree assets.